The standard head features 5-step, 15X high-speed zoom, providing greater flexibility in choosing magnifications according to the size of the measuring area. The highly corrected objective lens is equivalent to those found in Nikon’s top-end microscopes. They have a high N.A. of 0.35 with a long 50mm working distance at all magnifications. TTL Laser AF provides high resolution, long working distances, and fast operating speed for perfect focusing on narrow spaces at low magnifications. 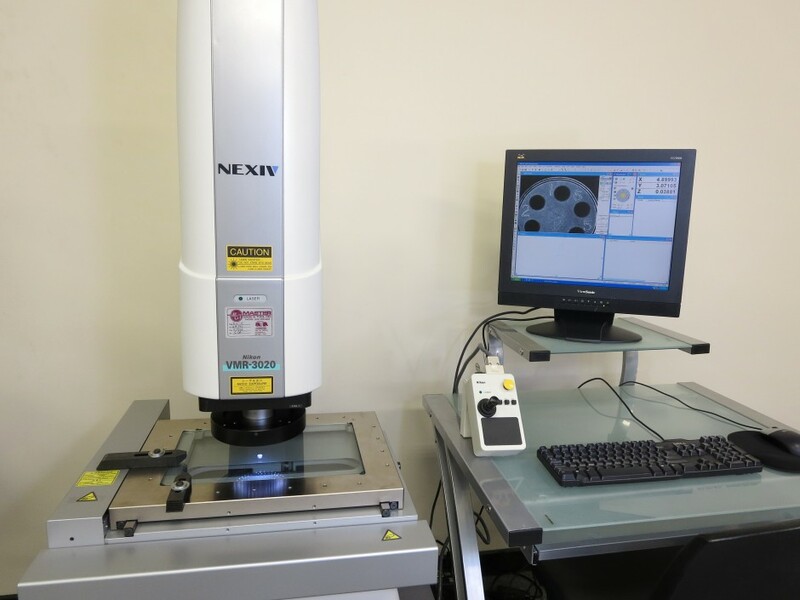 High-speed scanning measurement is possible at a rate of 1000 points per second max., enabling ultra-precise Z-axis measurements in a variety of applications. Thanks to the adoption of a new algorithm and a progressive scan CCD camera, Vision AF now provides greater speeds and accuracy closer to TTL Laser AF. Vision AF is convenient for applications where TTL Laser AF cannot be used, for example, when focusing on chamfered or round edges. The Multiple-Vision AF enables the simultaneous measurement of multiple points with different heights within the field of view.